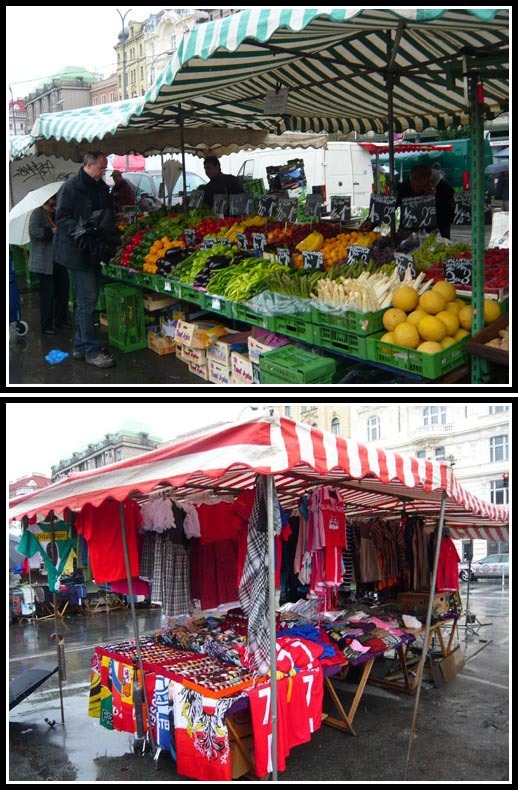 You can find all kinds of meat, fruits and vegetables at the western end of the market. This is also where you can get a quick bite for breakfast or lunch via the kebab and falafel stands. You can also buy Durians here – imported from Thailand and different types of olives and spices. 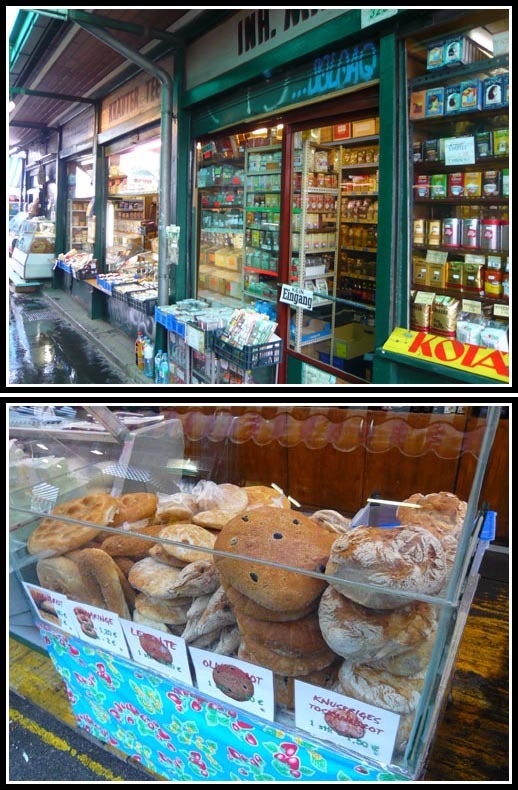 Also huge pieces of bread and even an organic food supermarket. Towards the eastern end of the covered market lies more fruit stalls. 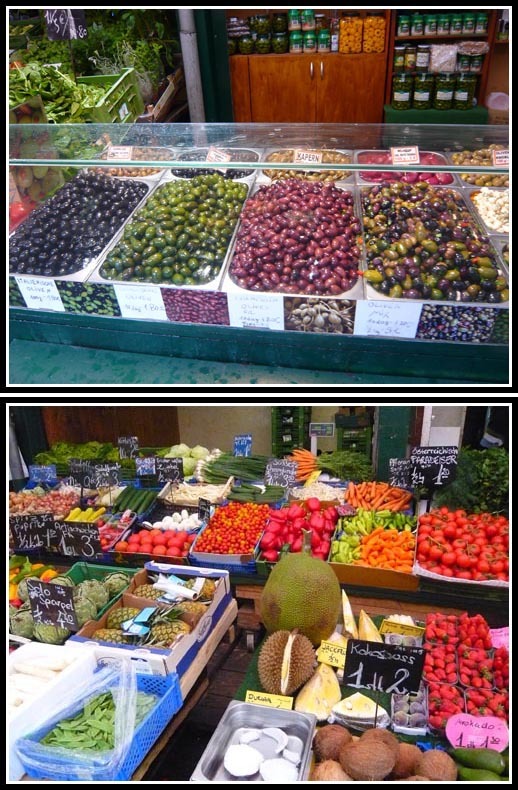 Fruits here tend to be cheaper than those in the covered market. There are also stalls selling Indian fabrics and jewellery and trashy trinkets. Don’t expect to buy any Vienna souvenirs here e.g. magnets, knick-knacks (unlike our earlier happy shopping experience at Budapest Great Market Hall), you will find more clothes here e.g. knock-off soccer jerseys. 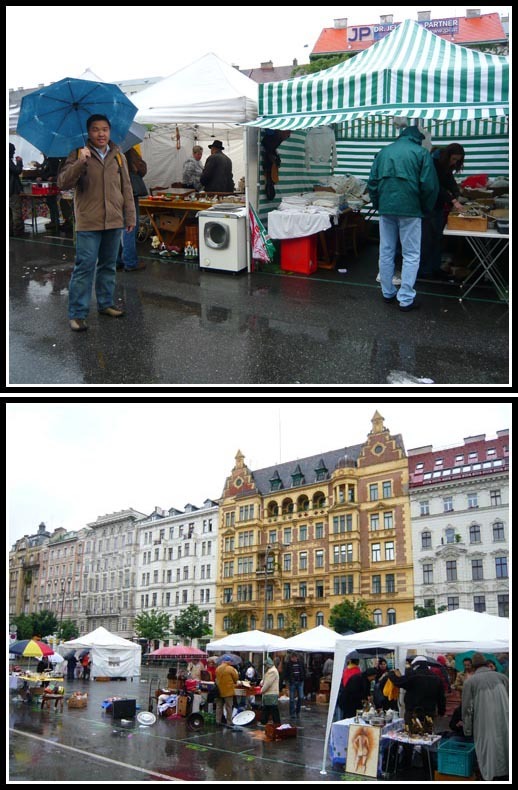 The Flohmarkt is one of the best flea markets in Europe and is situated right after the Naschmarkt every Saturday. It was supposed to stretch for several blocks of stands hawking books, clothes, records, ancient electrical goods, old postcards, ornaments, carpets and many more, including what many would consider junk. 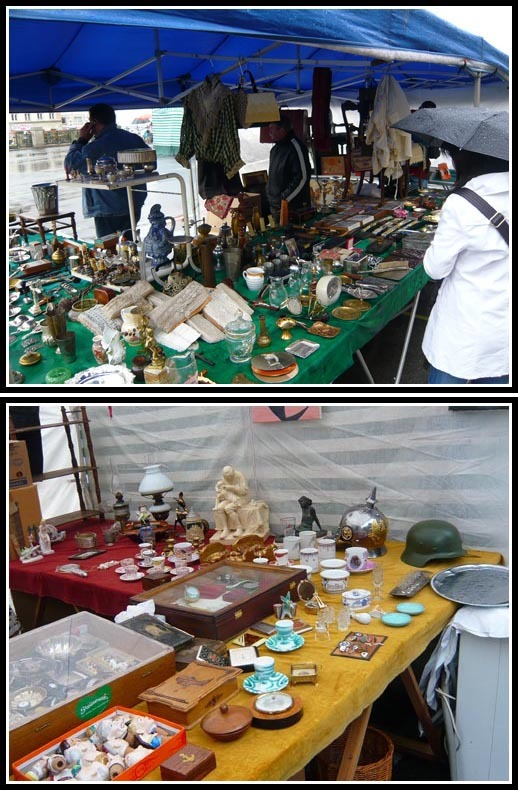 However it was raining when we visited, so there were significant less stalls. Note that each stall is assigned a lot. 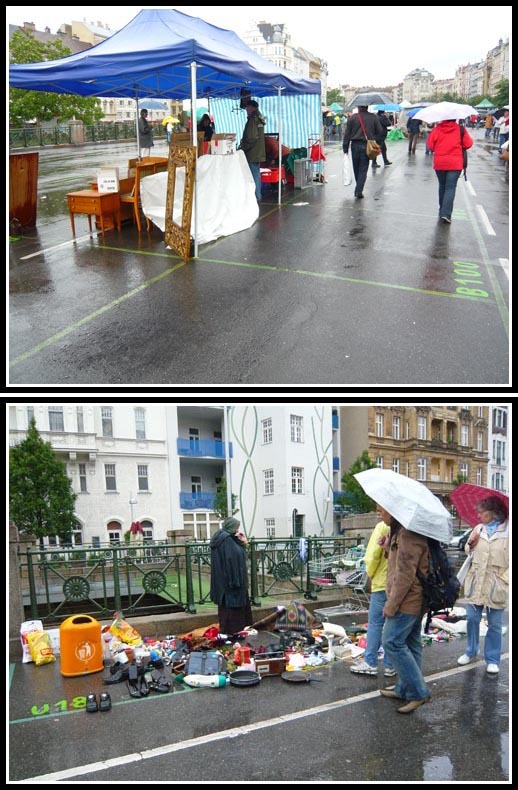 Some have carts and makeshift tables while others simply just dumped their wares on the floor to sell. See the ‘antiques’ they sell – even helmets from past wars! 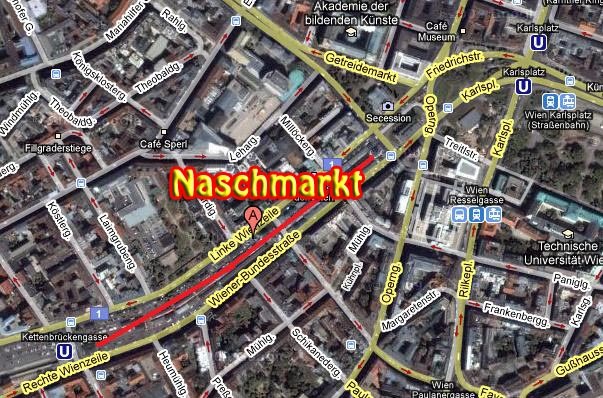 To see what you can find in the Naschmarkt, check out the following video. Hi ZQ, your travel articles have been a wealth of good info. We are using your tips to plan our trip to Eastern Europe this June. Keep up the good work! We just got into Vienna and are planning our time. 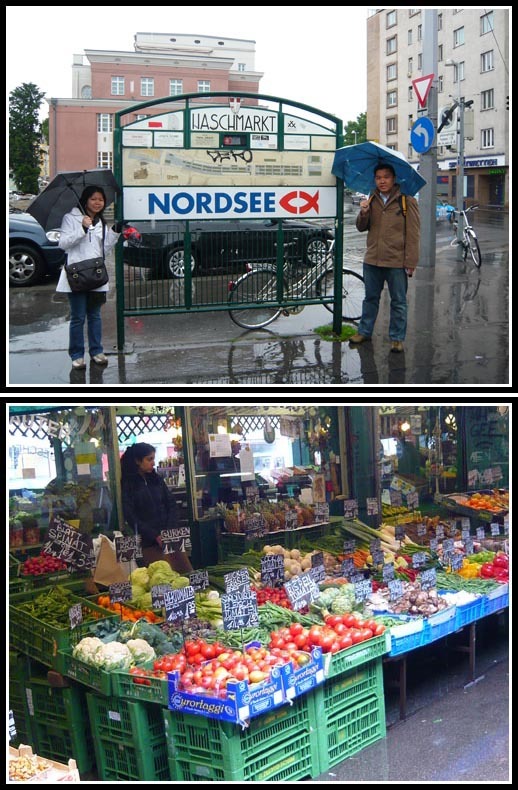 I’d heard about the Naschmarkt and wondered if it was worth it. Based on your review, I think we’ll go and check it out this weekend. Thank you!